Arad County lies in the western part of Romania, near the Hungarian border and is Romania's main entrance gate from Western Europe. The capital of the county is the city of Arad (with almost 175.000 inhabitants), which lies on the bank of the Mures River. The city is a blend of beautiful natural landscape and a charming architecture in the baroque, renaissance, neo-classic and neo-gothic styles. 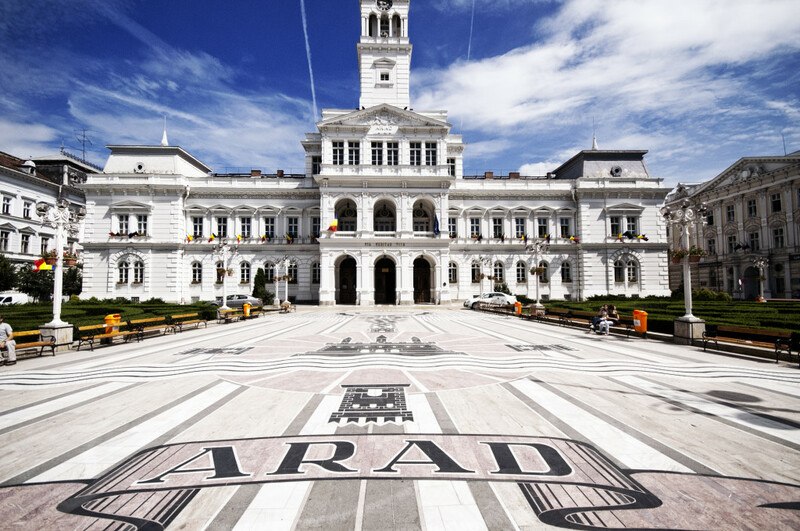 Today, Arad is an important industrial center and transportation hub, as well as home to two universities, a Romanian Orthodox theological seminary, a training school for teachers, and a music conservatory. Outdoor activities can be performed during the entire year: walking, skating, biking on the bank of the river from spring to autumn and snow playing and ice-skating at the city’s skating rink in winter. Not far from Arad, about 22 km away, there is Lake Ghioroc, a man-made lake, popular for its sand and palm-tree beach, clubs and restaurants, nautical sports like wind-surfing and diving and most important, Ghioroc Summer Fest, a ten-weekend festival with DJs from all over the world to listen to and party with right on the beach.